The USGBC Virginia Community is partnering with Resilient Virginia to provide a Resiliency Education Series focused on improving the resilience of buildings, infrastructure, and communities in the Commonwealth. The USGBC Virginia Community has embarked on this series in recognition of the 2014 industry statement on resilience released by America’s design and construction industry. That statement recognizes that “natural and manmade hazards pose an increasing threat to the safety of the public and the vitality of our nation.” Addressing issues of community resilience are critical to better prepare and recover from these hazards. Join us for our first event this coming Monday, March 19 in Roanoke to learn more about tools and strategies available to building practitioners, community leaders, and resiliency advocates. 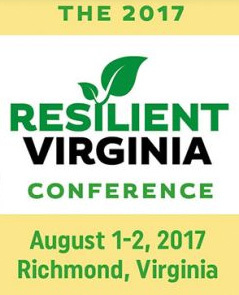 USGBC Community members and Resilient Virginia members receive a discounted rate to attend. One hour of GBCI CE credit will be offered where applicable. Find out how you can take home a free tree and register here. Have you ever wanted to know the steps you can take today to make your house more resilient to storms and summer heat while saving money on your bills? 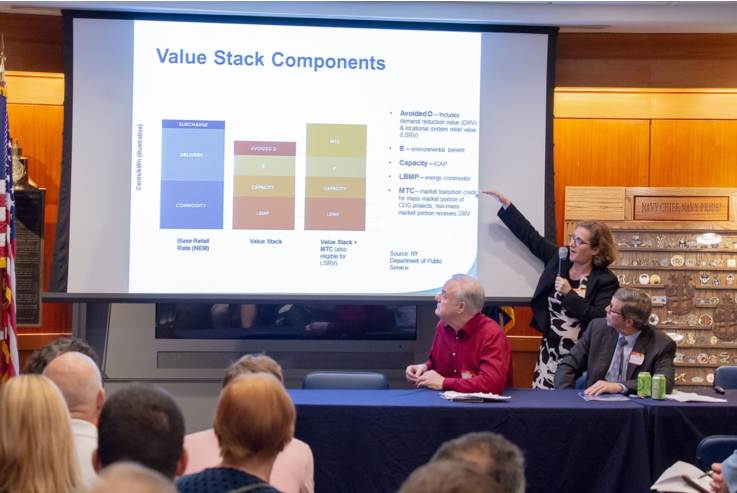 This workshop, sponsored by the Science Museum of Virginia and Resilient Virginia, will connect you with local options for stormwater and heat-reducing green infrastructure at your own home. Local experts will discuss diverse topics such as the role of trees in stormwater management and managing water in your yard using rain gardens, permeable pavers, and rain barrels. The workshop is free and participants can take home a shade tree or bush provided by the TreeLab to plant in your yard. Save the date to find out about sustainable and resilient home design, repair, and products; how to make your home “storm-ready”; and talk to representatives from businesses and organizations that can help you with energy efficiency, stormwater management, urban gardens, and solar systems for your home. Watch for announcements on special guests who will be speaking about making your home “storm-ready” at the Arlington Home Show on Saturday, April 14.